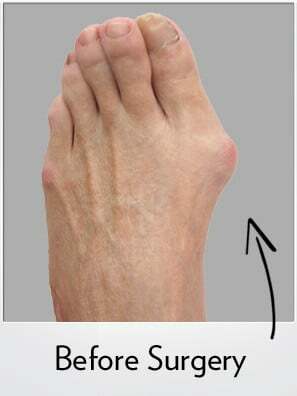 65 year old female with large left bunion underwent Bunionplasty® procedure with the Contours Lapidus Plating System. 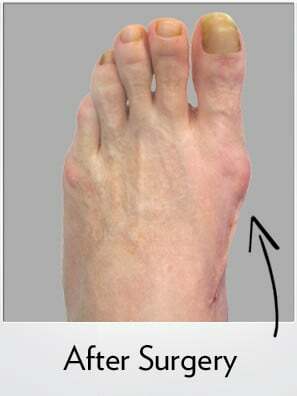 Before and after bunion surgery pictures demonstrate good position of the big toe and removal of the bunion. This patient was walking in a small surgical shoe (No Cast No Crutches™) immediately after surgery.